The Mathers Museum Permanent Collection consists of over 30,000 objects and 10,000 photographs representing cultures from each of the world's inhabited continents. These materials have been collected and curated to serve the museum's primary mission as a teaching museum within a university setting. The collection's strengths include musical instruments, North African, Middle Eastern, and Central Asian textiles and jewelry, South and Central American artifacts, Pawnee material culture, Indonesian puppets, and West African sacred and daily use artifacts. Photograph collections range from the 8,000 item Wanamaker Collection of American Indian Photographs to several hundred images of Bloomington and Monroe County, to small sets of images related specific object collections. The Permanent Collection is secured, maintained, exhibited, researched, and developed within a policy structure based on accepted standards for professional museums. The policies cover such areas as scope of the collection, acquisitions, documentation, loan procedures, access to collections, deaccessions, and disposal of removed items, as well as a code of ethics. The Permanent Collection is stored in a purpose-built facility with climate and light control, security provisions, and ample space for collections care work and other artifact-intensive work. Because of the museum’s adherence to industry best-practices, Indiana University students who take practicum courses with staff members or who research materials at the museum receive excellent training in contemporary museum practices. 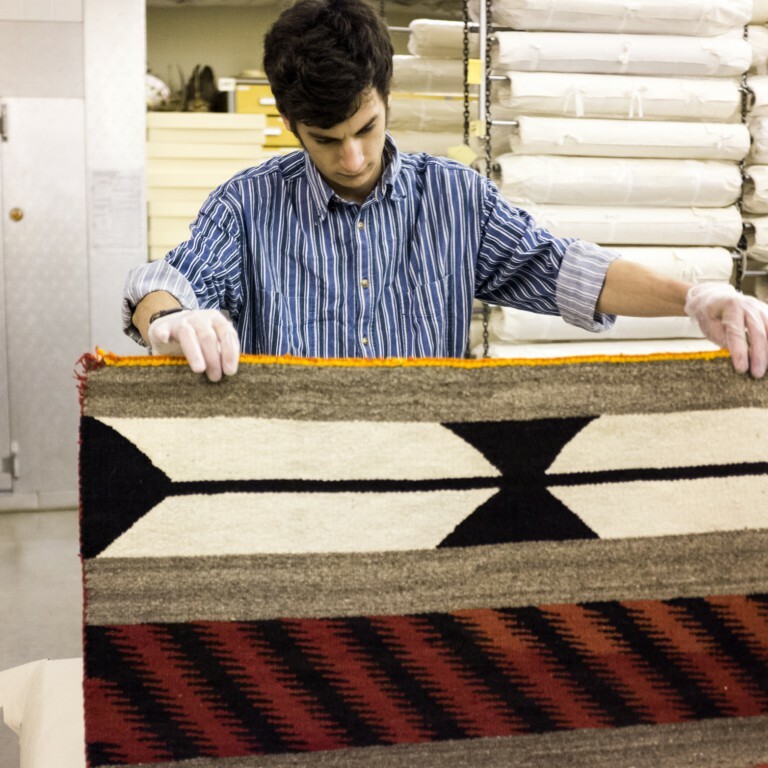 The Mathers Museum has an extensive collection of objects from around the world, providing IU students opportunities for training in material culture research, museum collection curation and management, and exhibit design and development.